Supermarket Liquors and Wines first opened its doors over a quarter of a century ago. We are Niagara County's number one Liquor Store, located conveniently on the corner of Military Road and Niagara Falls Boulevard. We are open seven days a week to serve you. I am the proud son of a native Niagara Falls entrepreneur, Armand Castellani, founder of Tops Markets. What I learned from this remarkable man has helped me discover the secrets of success: play by the rules; offer a great product at a competitive price; treat your employees fairly and honestly; give generously to our community; work hard; and always mind the store. I am proud of our products and the personalized service that we deliver on a daily basis. I am eager to earn your business and to keep earning it with every visit. If you can't find a product you are looking for, just ask one of our friendly staff. We most likely we have it in stock. My team and I strive for 100% satisfaction for you, our most valuable asset. Thank you for taking the time to learn about Supermarket Liquors and Wines and thank you for your business! You will find me at the store during most business hours, so please be sure to say hello! 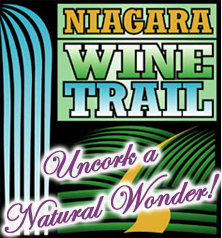 Located in Niagara Falls, NY, we are proud to be one of the premier destinations for wine, liquor, and cordials in the Western New York area. Whether you are searching for a new favorite wine or spirit, need a gift idea, or shopping for the holidays, we can help. With regular sale events, sample tastings, and special limited time products, be sure to visit us today to learn more. In addition to our expansive inventory of wines from around the world as well as locally made products, every Tuesday is Customer Appreciation Day! Looking for a specific product? Give us a call today and let one of our friendly and knowledgeable staff help you. Stay tuned to learn more about how you can join our mailing list for exclusive offers, latest products and tasting events! Copyright © 2018 Supermarket Liquors & Wines.